11 tracks: Smile Or Cry * Deidre’s Song * The Lea-rig * Young Betty * The Day Dawn * A Red, Red Rose * Higher Germany * There Is A Light * The Auld Refrain * Jean Yelland * Song for Cove. The Cast came into being when Mairi and Dave joined forces after meeting each other in the burgeoning traditional music and dance scene in Edinburgh. They have since performed extensively throughout the UK and Ireland, in Norway, Denmark, Germany, Switzerland, Spain, Italy and North America, and have also featured on many BBC Radio Scotland broadcasts. In 1999 The Cast performed their classic rendition of Auld Lang Syne (as recorded on The Winnowing album) on the US TV special Kennedy Center Honors. The programme honoured fellow Scot Sean Connery, and among the many prestigious guests attending this annual holiday event were The President and Mrs Clinton. Mairi and Dave have a deep love of traditional music of all kinds, but reserve a particular place for the work of Robert Burns, the fiddle music of Scotland and Scotland’s rich ballad heritage. They are polished, relaxed and engaging performers, with a deep knowledge of their material and its sources. 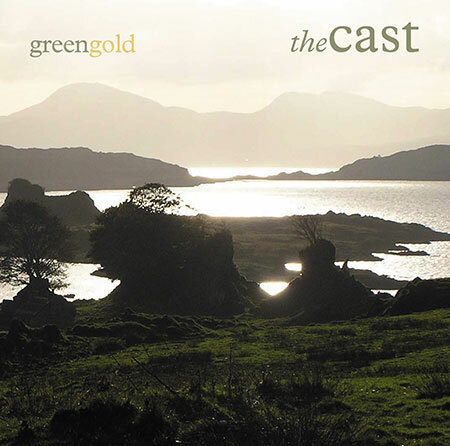 On this album, they again include a couple of Burns classics, plus the traditional song Higher Germany (from the singing of Kentish gypsy Phoebe Smith), while four of the songs are the joint efforts of Mairi and Dave. Another song is from the pen of Jane Hazeldean, with music by Mairi and Dave. The instrumental sets also include some of Mairi’s own compositions. A gentle album, with the voice very much taking centre stage, accompanied sparsely by Dave’s guitar and Mairi’s fiddle.